When it comes to advertising and building business, Google provides a really important service. With so many potential workshop clients using Google's web search engines, it is vital I have a presence that puts all the right information in front of them. So they can see what makes my courses stand out from all the rest in terms of quality content, experience and tuition. An important 'USP' is my all inclusive, residential aspect. Guests come and stay, for two to five days, to immerse themselves in a course focussed around putting them first. So actually seeing where they will be staying and getting an idea of the accommodation is vital. And this is where Google are letting the side down. For although it was built back in 2011, Google have yet to update their maps to include the Tara Vale development. So on my business home page, their system displays a property in an adjacent road. This is a cause for concern, as the picture is misleading, and no such road name appears on their search. Yet after months of trying, I have so far been frustrated in getting Tara Vale added to Google Maps. So when I mentioned this to workshop regular, Sean Driscoll, he kindly brought his drone along on his latest stay. On a clear, calm January afternoon, he sent it up high overhead and captured an image that really does put us on the map. 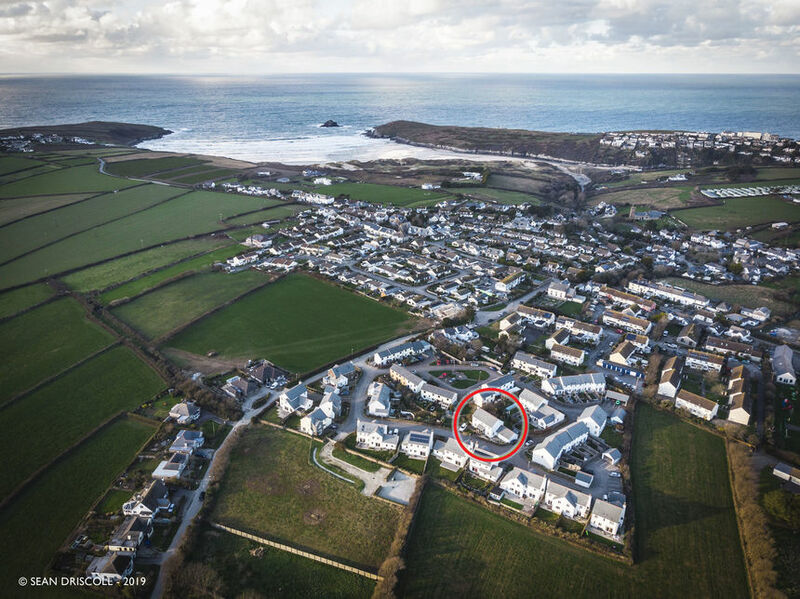 I have circled our house and you can clearly see for the first time exactly where we are, and just how close we are to some of the most picturesque coastline in the UK.